Coming of age as a writer and comedian during the '60s and '70s, Eric stumbled into the crossroads of the cultural revolution and found himself rubbing shoulders with the likes of George Harrison, David Bowie, and Robin Williams, all of whom became dear lifelong friends. With anecdotes sprinkled throughout involving other close friends and luminaries such as Mike Nichols, Mick Jagger, Steve Martin, Paul Simon, Lorne Michaels, and many more, as well as the Pythons themselves, Eric captures a time of tremendous creative output with equal parts hilarity and heart. 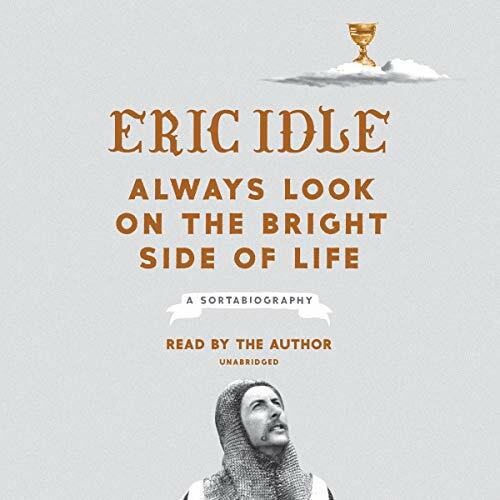 In Always Look on the Bright Side of Life, named for the song he wrote for Life of Brian (the film he originally gave the irreverent title Jesus Christ: Lust for Glory) and that has since become the number-one song played at funerals in the UK, he shares the highlights of his life and career with the kind of offbeat humor that has delighted audiences for five decades. The year 2019 marks the 50th anniversary of the Pythons, and Eric is marking the occasion with this hilarious memoir chock-full of behind-the-scenes stories from a high-flying life featuring everyone from Princess Leia to Queen Elizabeth.